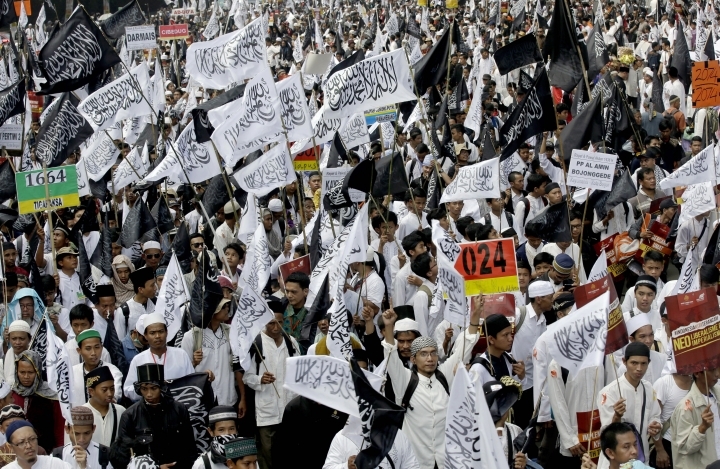 JAKARTA, Indonesia — The top Indonesian security minister said Monday the country's president has ordered the dissolution of a hard-line Islamic group that seeks a global caliphate for Muslim nations and was behind massive blasphemy protests in Jakarta. Wiranto, who goes by one name, announced the action against Hizbut Tahrir Indonesia at a brief news conference and said it was ordered by President Joko "Jokowi" Widodo. Wiranto, who is the coordinating minister for politics, law and security, said the "activities of HTI are strongly indicated to be running against Pancasila (Indonesia's pluralistic state ideology) and the constitution." The move comes after Jokowi's government was shaken by massive protests in the past six months by conservative Muslim groups against the minority Christian governor of Jakarta, who is accused of blaspheming the Quran. Wiranto said HTI's activities "have clearly caused conflict in society" and threaten the integrity of the state. He said dissolution of the group would be achieved through the courts. 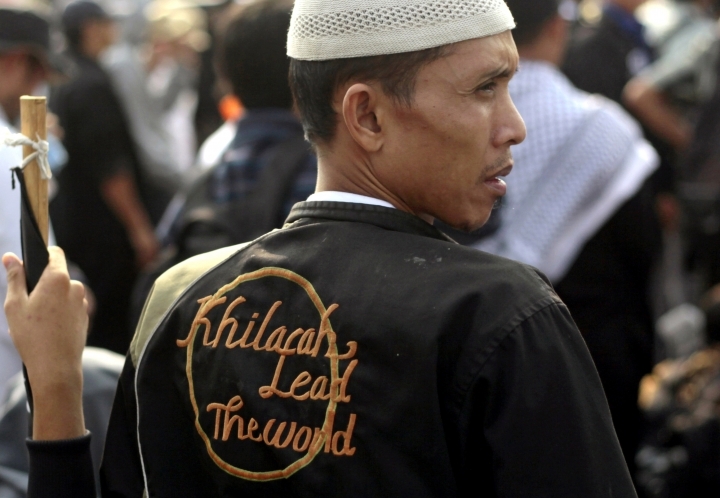 Hizbut was one of several hard-line groups behind the Jakarta protests that undermined Indonesia's reputation abroad for practicing a moderate form of Islam. It is active in dozens of countries despite being banned in some of them and began expanding in Asia several years ago. The group said it deeply regretted the government's decision and noted that it has been conducting religious activities in Indonesia for more than 20 years. "We operate legally, orderly, peacefully and almost never caused any legal problems," spokesman Ismail Yusanto said on the group's website. "HTI will take the needed steps to reject its dissolution." In a rare interview with Western media in 2011, Rochmat Labib, the group's chairman in Indonesia, told The Associated Press that Hizbut's "grand plan" in the following decade was to reinforce lack of trust and hope in the government. "That's what we are doing now: converting people from democracy, secularism and capitalism to Islamic ideology," he said. The group does not have any record of violence in Indonesia but the government's move to ban it was defended by mainstream Muslim organizations and some rights groups. Said Aqil Siraj, chairman of Nahdhatul Ulama, Indonesia's largest Muslim group, said it supports the government's "firm action" against Hizbut. Hendardi, a founder of the Setara Institute for Democracy and Peace, said Hizbut's ideology has "massively and systematically penetrated our society through campuses and religious assemblies." It should be considered a threat to Indonesia's religious diversity and democracy, said Hendardi, who also goes by one name.